As the holiday season draws near, I can already feel the pace of life picking up. While Southern California is one of the only places you can have your heater on with a sweater one day, and your AC with a t-shirt the next in winter, the seasons are nonetheless changing. Grateful that I don't have to drive through snow to reach my students, I still feel winter approaching. 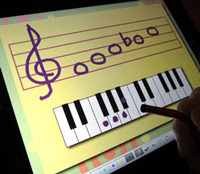 iPad and Piano? I think YES! One of the resources that I use for games, videos and theory tutorials in piano lessons is this website with a huge collection of resources created and made available by a piano teacher in Canada. Most of the games my students always ask me to play are from this site. "Funny Farm" ring a bell anyone? One of her newer additions that has really intrigued me is her series of lessons, games and even an app for the iPad. Thank you everyone for a great Recital! I was very proud of everyone's performances, and grateful for all the help I received in coordinating it. This month's post will be inspired by my song choice from the recital. As my piano teacher from high school will attest, I always hated to play Bach. His music is very intellectual, but it is not as overtly passionate as other periods and composers. I told myself it was unninovative and not interesting enough to play. 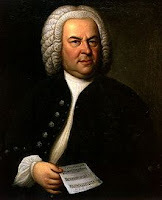 However, in the years since then, I began to hear the brilliance in Bach’s music.